When is the right time for buying a set of Golf Clubs? May I suggest birthdays and Christmas are the best times to buy up a new set of clubs. However, Christmas or birthdays in Jan or Dec might not fit into your golfing schedule. Consequently, it is difficult to know when the best time to buy new clubs actually is. There are financial implications, but, just as important it takes time to get used to playing with your new clubs. If you are beginning at the game of golf and the major questions are what should you do about clubs and how much will I spend in case I won’t like the game in 6 months? Buying the cheapest set of clubs is fine if the clubs suit your body build. To get the right advice, visit your local pro and not the biggest discount golf shop, as it’s likely the clubs you buy may not be the right fit for you. I typically suggest buying brands such as Ping, Callaway or Taylormade. Also, buying a good quality second-hand set is so much easier to use compared to a cheap set that is harder to play with. You still don’t have to buy a new set of clubs; however, you should get golf lessons along with getting fitted for the right shaft length and the right golf club lie angle. Taking a series of golf lessons will develop a better golf posture and hitting action. During or before a series of full swing lessons is probably the worst time to buy new clubs. Also, depending on how much you practice and the positions within setup or swing that are being adjusted. Such as posture and hand position at impact will affect club lie angle. Other notables such as swing plane & angle of attack & spin rates are some of the factors for shaft selection. Just simply getting used to a new feel or a new golf swing move takes time to get used to.Subsequently, during a series of golf lessons, your golf swing to golf club specifications will change. Moreover, ideally, you would like to be at your best when spending time at a club fitting session. If you aren’t taking lessons and go for a club fitting. The golf Pro may offer some swing advice helping you to hit better shots. However, changing your clubs before or after a series golf lessons may push you into your new swing method quicker. If you fall back into your old swing habits, your shots may get worse because your clubs may suit you as well as they could. This may be more to do with the lie angle of the club rather than the shaft. I find that the shaft fitting process nowadays is accurate. Ranting about playing bad golf and hitting crap shots! As you may know, golfers, ranting about how bad their games are ongoing conversations at every clubhouse! When the game is so bad, “it must be the clubs”, missing puts “can’t line up the bloody putter” “ENOUGH! !” of this says you!!! The memories of all the great shots played are long since forgotten… Remember, it’s likely that you have played great golf with those clubs at some stage. However! A new club can get the golf blood flowing positively, given that you are custom fitted, the latest and greatest technology should offer you something your old driver didn’t. How long to get used to a new set of clubs? I would say to every person that I meet for golf club fitting or golf lessons, is to enjoy playing golf. Changing clubs during the season can affect your chances whilst competing for the major titles within your golf club. Changing a set of clubs will more than likely change how far you will hit each club. 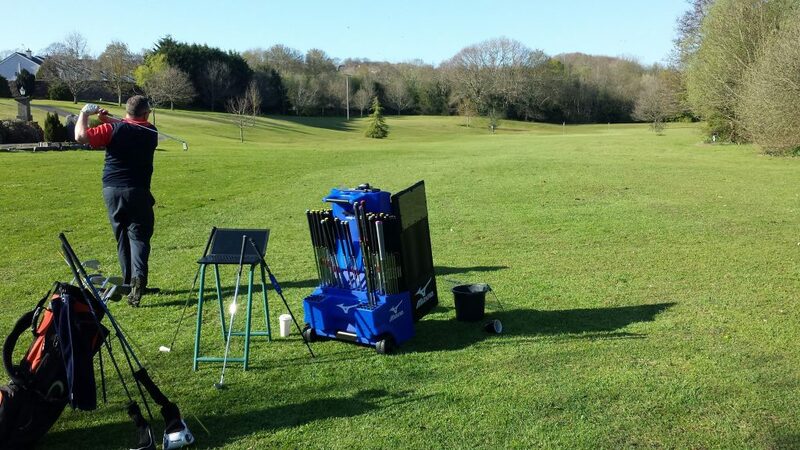 Consider the months that you will be playing lots of golf and if you do change clubs mid-season, are there 4 – 6 weeks where you can work on feeling the best shots you can hit and measure the average distances of each of the clubs? In the last 10 years, golf club technology means that the life and performance of golf clubs can be a decade rather than years. However, wedges are more frequently used than other clubs and the grooves on your wedges will wear out more quickly than on your irons. This means the spin shorts in will not grip as much as the ball used too. But you might find if you bought your clubs off the rack 10 years ago that the clubs available now will perform better for you! Without question, Golf grips should also be replaced at least every 8 to 14 months. Conversely, maintaining feel, grip, and control of the club. Furthermore, ageing grooves on your irons can cause flyer lies more often and, so if your clubs are looking a little tired, it could be time to investigate an upgrade. Final Suggested Advise! When is the Right Time for Buying a set of Golf Clubs? While it’s hard to offer the perfect answer. I would suggest there is a seven-month period best suited to buying a set of golf clubs – from September to March. Notably, the winter months will give you time to get used to them. Also, a winter purchase will accommodate any winter coaching to be golf swing ready for the season’s opener. Buying a set of golf clubs.